Watch future being made in front of you, as Hyperloop One formerly knows as Hyperloop Technologies, successfully testing Hyperloop One in Nevada Desert. I was never a fan of Air Travel and It’s bloody slow according to today’s standards, so I am already a fanboy of Hyperloop One, as it will take humanity into next era of evolution, where borders won’t be necessary as people can live in Europe and travel to US, China or Australia for work and return home to get sleep in their own comfy beds. When operational in near future Hyperloop One pods carrying passengers or cargo can travel at the speed of 700 MPH or 1127 KMPH, Not just that it will reduce the mess associated with Air Travel where you’ve to check-in like 3 to 4 hours before your flight. 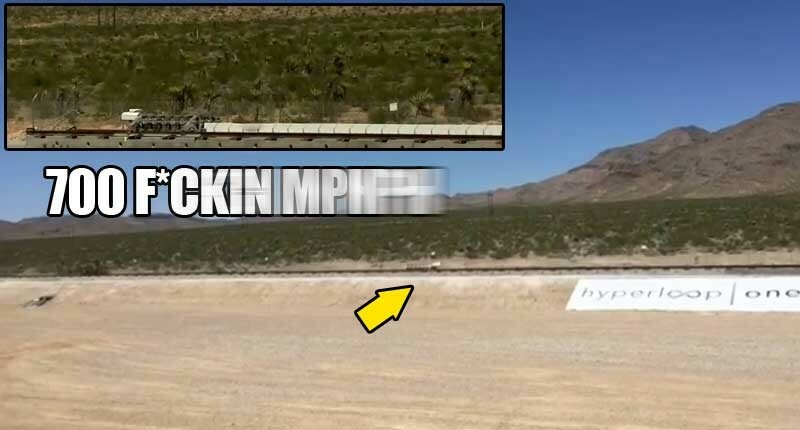 And here it is in glorious slow motion video of Hyperloop One.